As I mentioned in a previous post (the one about the “last days”), it is extremely important for us to consider the historical context the Bible was written in, the message the writer was trying to convey and the way the readers would have interpreted it. If what we arrive at goes beyond what the writer was saying, we have misinterpreted the message. This happens with the book of Revelation more than any other book of the Bible primarily because of the imagery used in the book. In order to truly understand what John was writing about we have to do two things (among other things). We must remember that most of his imagery comes from the OT, and most of that from the Prophetic books. And we must consider the historical accounts of that day to see if any of the prophecies he wrote were actually fulfilled, rather than jumping to the conclusion that he was prophesying about things 2000 years in the future. I have recently come across an amazing discovery. 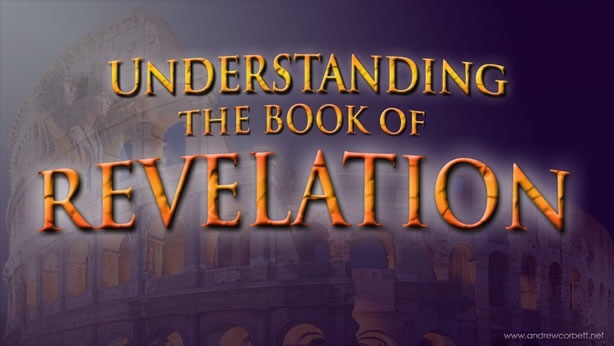 I consider it to be a gem when it comes to “cracking the code” (so to speak) of the book of Revelation. This discovery I’ve come across is a book titled The Wars of the Jews written by the Jewish historian Josephus, who was not only alive during the destruction of Jerusalem, but played a major role in the war for both sides. This book tells mainly about the war between Israel and Rome from 66-70 AD, which led to the destruction of Jerusalem in 70 AD prophesied about by Jesus in Matthew 24 and parallel gospel accounts. It’s also prophesied about by John in the book of Revelation in a very artistic way. It’s my opinion that every Christian should read the portions of this book that cover the details of the war. Or, just like every Bible has maps at the end, maybe they should include a short summary of Josephus’ writings. Without these historical facts the book of Revelation will continue to be confusing to people. Why is this important? Because your eschatology determines your theology. In other words, whatever you believe about the “last days” will greatly impact your view of the kingdom of heaven and how you go about advancing it. We are living in the days of the kingdom, not the last days of the world. Jesus will come back some day, but I think it will be not in the midst of a world that’s so dark the only solution is for Him to rapture the church and physically return. Besides, Jesus Himself prayed in John 17 that God not take His disciples out of the world, but keep them from the evil one. His final return will be to an earth that is filled with the knowledge of God because of people taking the Great Commission seriously. Remember the parables of the kingdom in Matthew 13 about how the kingdom advances. And how Jesus said in Luke 17 that the Kingdom does not come in ways that can be observed (or seen physically), but that the kingdom is within. In other words, the kingdom of heaven is spiritual, not physical. I’ll touch on some other things in other posts like, the 1000 year reign, the marriage supper of the lamb, the New Jerusalem, etc. May heaven come! Grace and peace 2u. Previous Previous post: The last days? Next Next post: What does it mean that Christ followers are “seated in Heavenly places”?